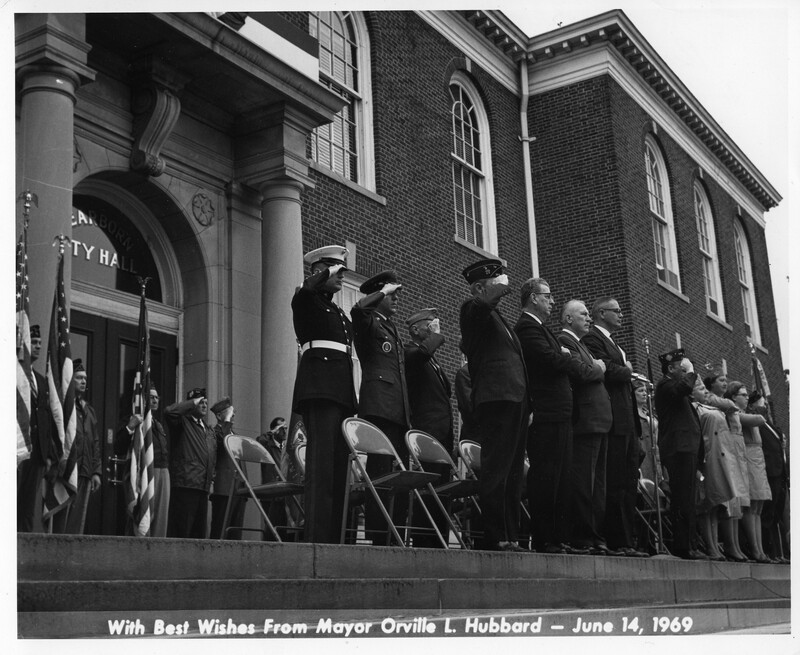 June means a lot of things for the residents of Dearborn. The farmers markets open up again. Father’s day is here and gone. Often there is yard work to be done and graduation parties to attend. Yet the most important part of June is that it is that start of summer vacation. So while students were getting ready to leave their classes, we at the Museum are packing up our school program. For the last four months the museum has been running our Pioneer School Program. DMH has welcomed roughly 1,4oo second graders to our McFadden Ross house for a morning out experience-based learning and hands on projects. Dearborn Public School students got a chance to learn a little bit about life in the 1830’s. We really wanted students to acknowledge the differences and similarities between life in Dearborn then and now. Half of the program was spent in the Pioneer room at the McFadden Ross house. Students learned about the different jobs and chores ever family member would have to do to living in 1830s Dearborn. They got a change to practice their map reading skills, as they traced the route that the Nowlin family took when moving to Dearborn. Students also got a chance to experience what a school day would be for a second grader in the 1830s. From reciting from the McGuffy 2nd grade reader, to sharing uncomfortable two person desks, to practicing arithmetic and spelling on their slate boards, everyone got a chance to see the technological differences and content similarities between schools now and then. The second half of the program students got a chance to rotate through different learning stations. Students got to walk through the Gardener home and learn about how the Gardener Family lived. Many students were shocked to learn about rope beds and outhouses. Then they got a chance to churn (and taste) their own hand-made butter! Finally students learned about the three sisters (corn, beans and squash) and got to plant and take home their own vegetable. Thanks to all our wonderful volunteers and helpful teachers really made our program a success. However, just because our field trip season is over doesn’t mean we are done around the museum! June 29th is our Teddy Bear picnic! Our Sports Memorabilia exhibit is still up if you haven’t come by to see it already. Our archivists are still hard at work. We are also going to be having some exciting events coming this fall (top secret at the moment). As always thanks for reading! Don’t forget to like us on facebook and follow us on Twitter! Tomorrow is June 14th: Flag Day. Officially established in 1916 by President Woodrow Wilson, this is the date that the Second Continental Congress adopted the flag of the United States in 1777. This year will mark the 236th anniversary of the adoption of the flag of the United States of America. Flag day isn’t a federal holiday and is only a state holiday in Pennsylvania, but it is celebrated by families and organizations throughout the United States. Parades aren’t uncommon on this day, but much more common are flag ceremonies which not only celebrate our nation’s flag but also those who have served under it. This is because June 14th is not just the day our flag was ratified, but also the day in 1775 that the Congress adopted the American Continental Army. 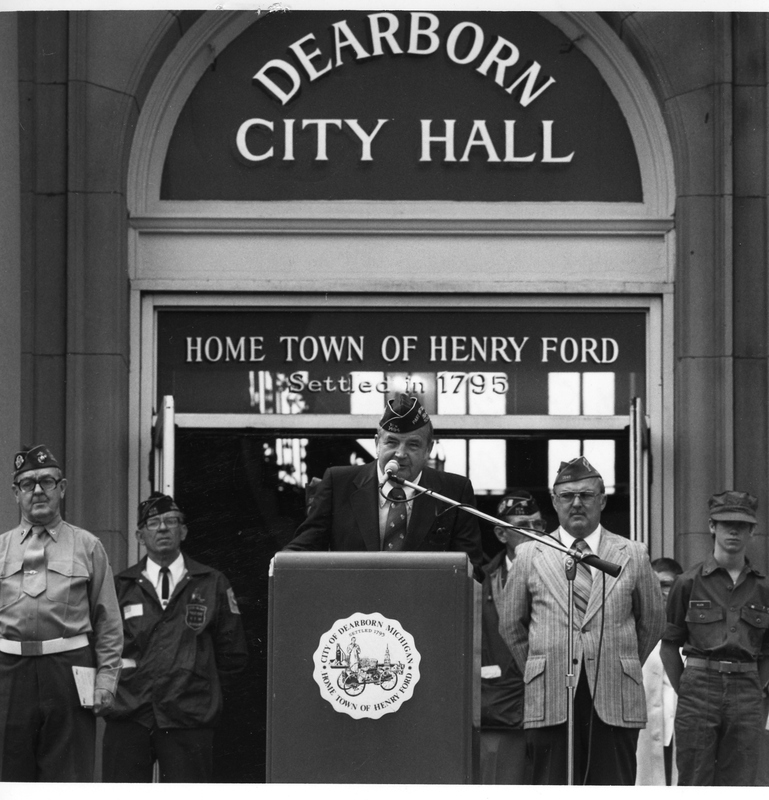 The City of Dearborn commemorates this day with a ceremony to retire old and tattered flags. The ceremony keeps with the American Legions rules for the disposal of flags. Any and all are welcome to attend the ceremony June 14th, at Ford Field park at 7:00pm. People may drop off their flags starting at 6:30pm. 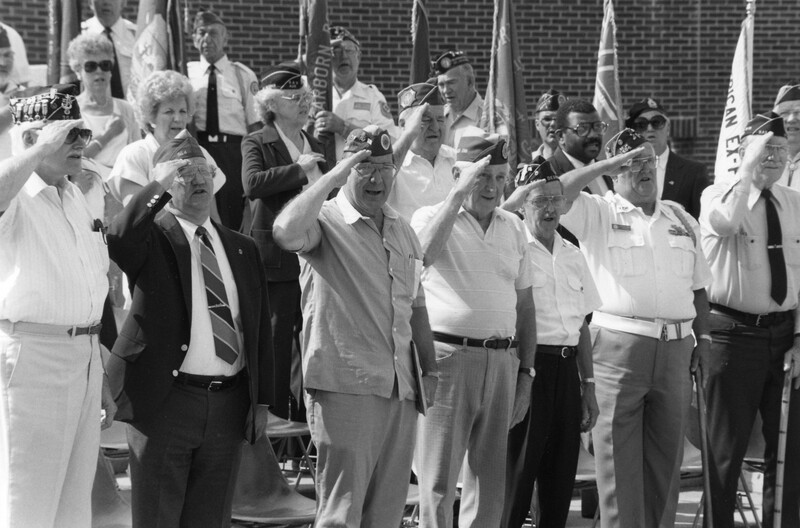 This ceremony is preformed in conjunction with the Dearborn Allied War Veterans Council. Come and help us commemorate Flag Day not only as a national tradition but a local one as well.